Discussion in 'Music' started by Cliffy Burrows, Dec 19, 2014. Here is the latest Digitized Laboratory. 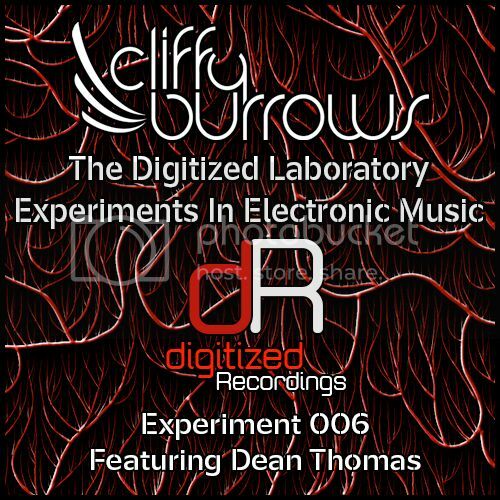 This experiment features a stunning guestmix from Digitized Recordings legend Dean Thomas. The first half of podcast though is supplied by myself in which I have done a mix featuring the tracks I played at my retirement gig for Sunset To Sunrise. Enjoy! Massive thanks to Touchstone for letting me play so many tracks in our B2B set. Proper gent. Click >>here<< for the Digitized Recordings 'Facebook' page.